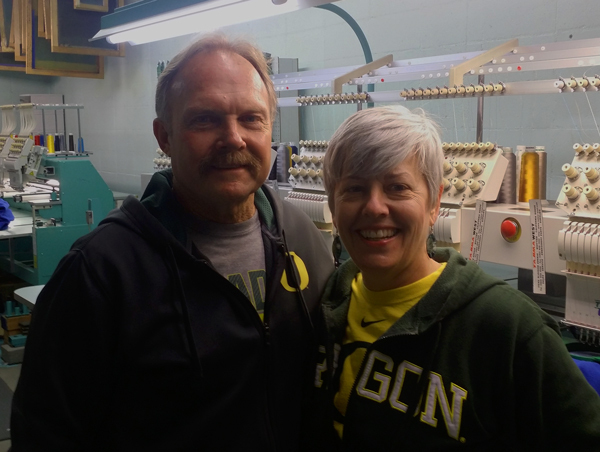 Mountain Embroidery is owned by Larry & Sharon Rydell and serves the Southern Oregon / Northern California Area including Medford & Grants Pass, Oregon. We perform color digital embroidery. With over 50 years of printing experience, you can be sure we’ll get your job done right the first time! At Mountain Embroidery, our commitment to quality allows us to produce top-notch products that are second to none! Our clients are our top priority! We pride ourselves in personal customer service to ensure that your specific needs are met.